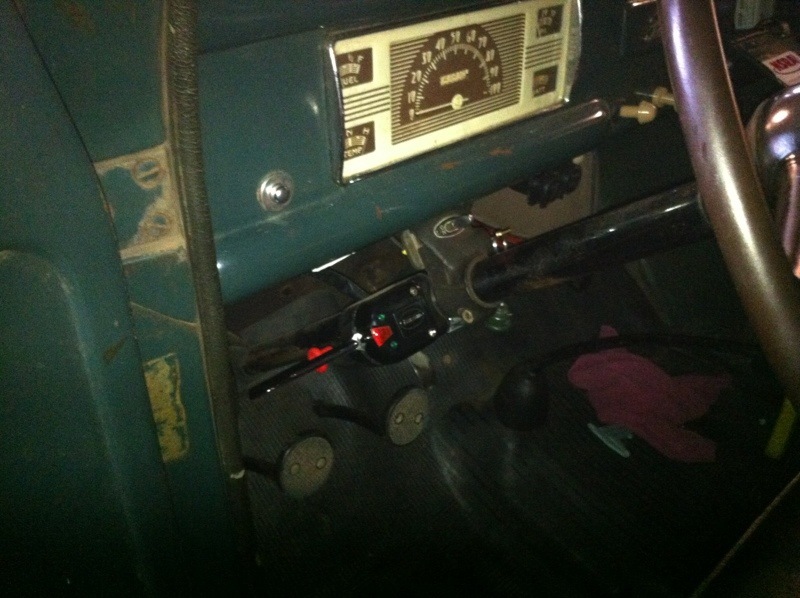 …I spent my Thursday and Friday evenings finally wiring turn signals on the coupe. This followed up last weekend’s replacing of the brake light switch, to a lower pressure switch, and replacing the bulbs to 2357 bulbs, for brighter brake lights. It’s been about 18 years since I wired the ’40 coupe. At that time, I had determined that turn signals were not necessary, and that the signal switches mounted on the columns looked stupid. After several recent close calls with idiots that follow too close and like to drive in blind spots, I’ve changed my point of view! The ’37 sedan had signals on it, when I bought it, and they turned out to be pretty cool to have. Especially in cold weather, when I didn’t feel like putting the window down for hand signals that nobody paid attention to! While I was in the process of rewiring the ’40 truck, I went ahead wired signals in it and bought another switch for the coupe. 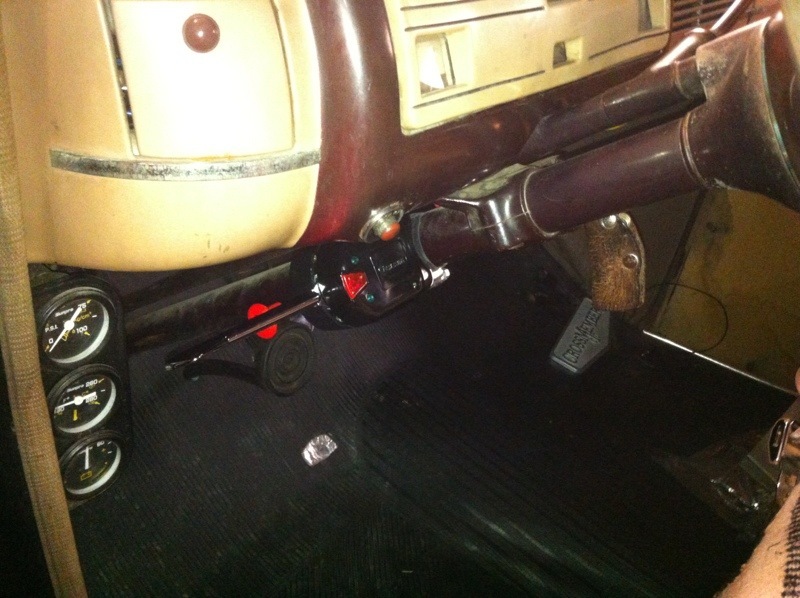 In both, the truck and the coupe, I decided to place the switch just behind the column drop, below the dash. It keeps the switch like looking like a big wart on the column, and out of direct visibility when looking in at the dash. I also chose switches with black housings, instead of chrome housings, to help keep them from attracting attention to those looking in. I broke the wiring job, for the coupe, into two evenings of work, running the new leads to the lights, and finally completed it on Friday night. Not too exciting, for most, but it’s done now, and one more item checked off the list! Remember, we have to drive extremely defensive in our old cars. People are too distracted, these days, talking on cell phones and even worse, texting and driving! It’s up to us to make sure that we account for other’s bad driving habits! 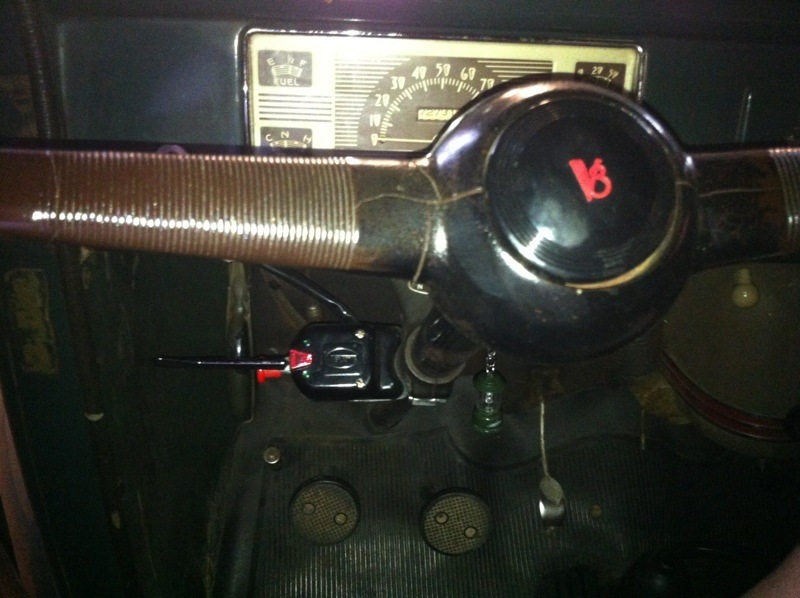 The location of the switch, in the ’40 coupe. Intentionally aimed below the normal line of sight, to see the switch from the driver seat of the coupe. 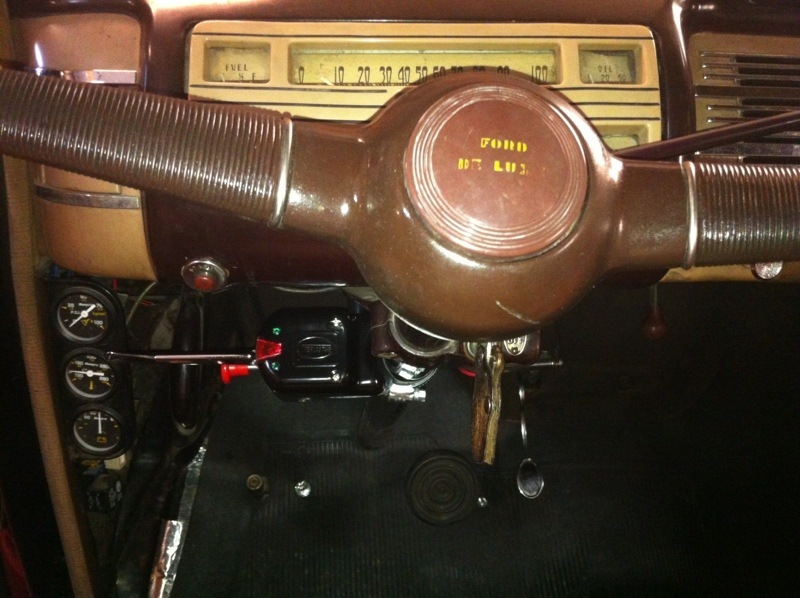 The location of the switch, in the ’40 truck. Intentionally aimed below the normal line of sight, to see the switch from the driver seat of the truck.